AMI MARITIME has successfully participated in the Marintec Indonesia Show last November 23-25, 2016. AMI grabbed this opportunity and launched the new X-VHFR which is the mini voyage recorder and designed for vessels which are not required by IMO for VDR/SVDR but add on safety device. AMI also launched the BlueTraker Fuel Monitoring System which is the most economical solution for vessels to manage fuel consumption and help customer to save their cost. 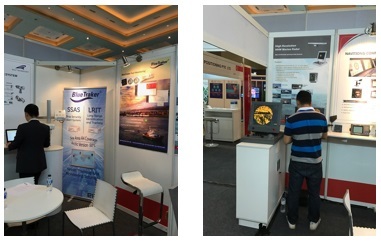 First time in Indonesia Market, AMI’s Partners in China presented also their product such as HHM Radar, Gulf GPS, Navtex, Anemometer and CCTV. We would like to thank all the customers who visited our stand and give them their support.